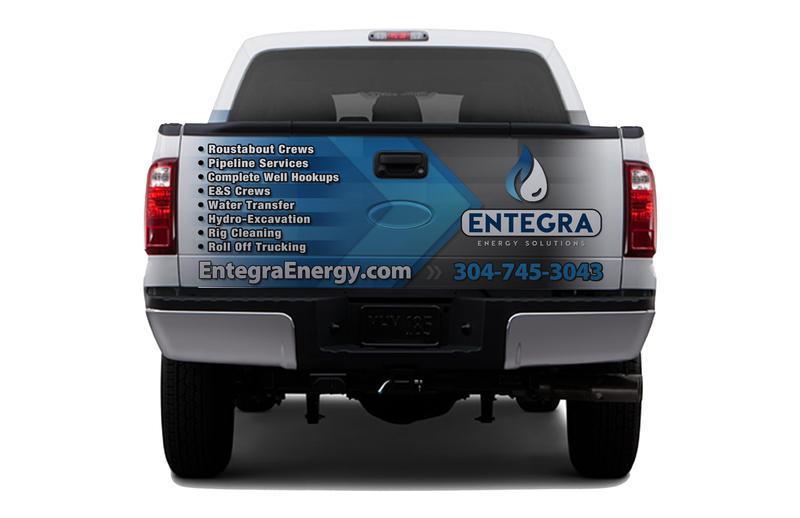 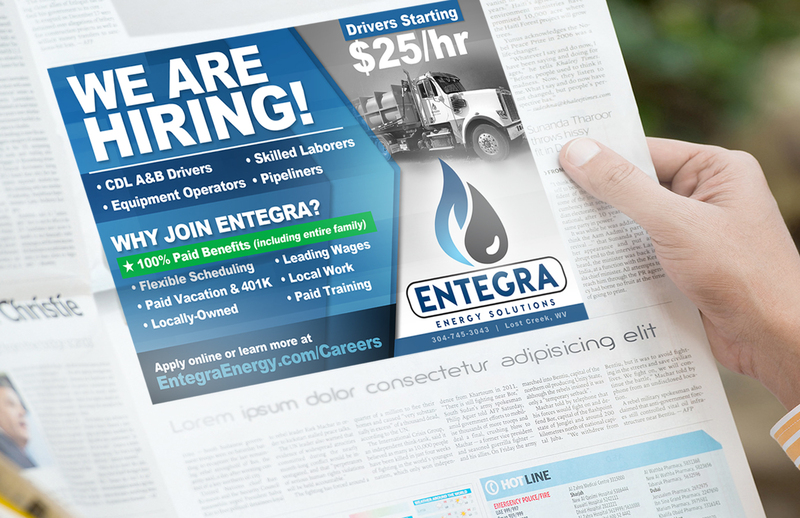 The Stick Company also worked with Entegra Energy to brand their fleet of trucks, wrapping each tailgate to mirror the website design, and detail the various services of the company. 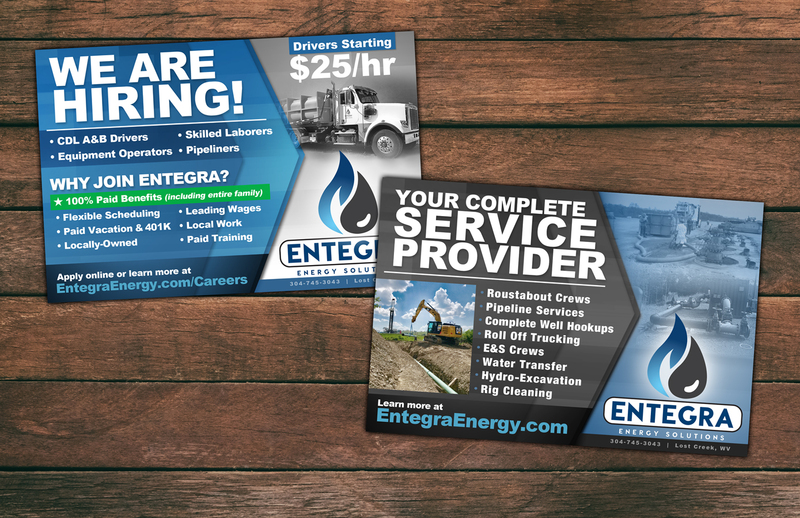 Entegra Energy is the local expert on all things energy. 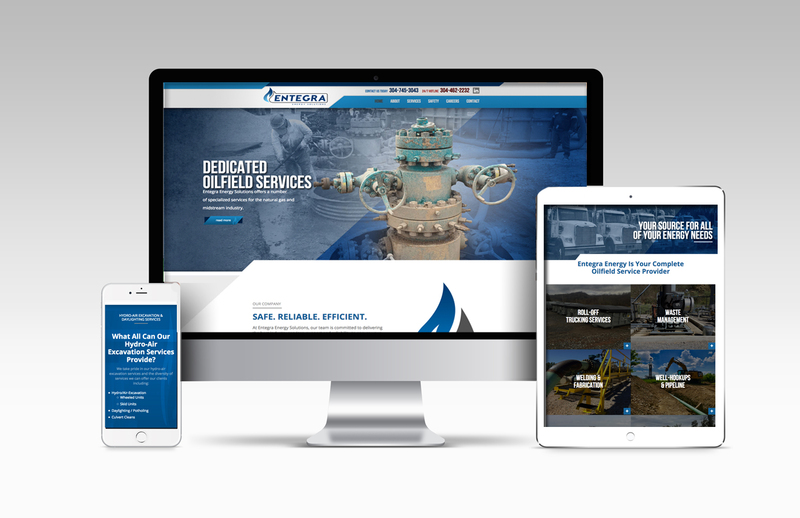 From Roll-Off Truck Services, Waste Management and Equipment Rental to Fabrication, Well Hookups, and Pipeline services, as well as Environmental & Industrial Cleaning Services, we are dedicated to your success.